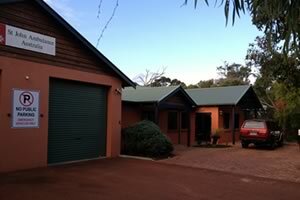 The Dunsborough St John Ambulance Sub Centre is located just 500 metres from the centre of Dunsborough on Marri Drive, next door to the Fire Station. Staffed by over 30 volunteers from the local community, the Dunsborough Sub Centre has been providing Ambulance care and First aid training to the South West since 1962. 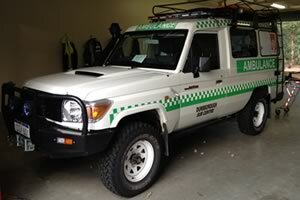 The Dunsborough Sub Centre is equiped with two Mark 6 Ambulances, 4WD Ambulance, as well as a First aid post which can be booked for community sporting and cultural events. The centre contains a large purpose built classroom to hold First Aid Training Courses, as well as stocks of genuine St John’s First Aid kits available for purchase. The St John’s Dunsborough Sub Centre provides a valuable service to Dunsborough and surrounding residents for both accident and emergency services as well proactive training and community service. We are always looking for Volunteers and Welcome enquiries from interested members of the community.